After lunch at Villa Maria we made our way to the Villa Rufolo, whose ancient function was that of watch-tower. 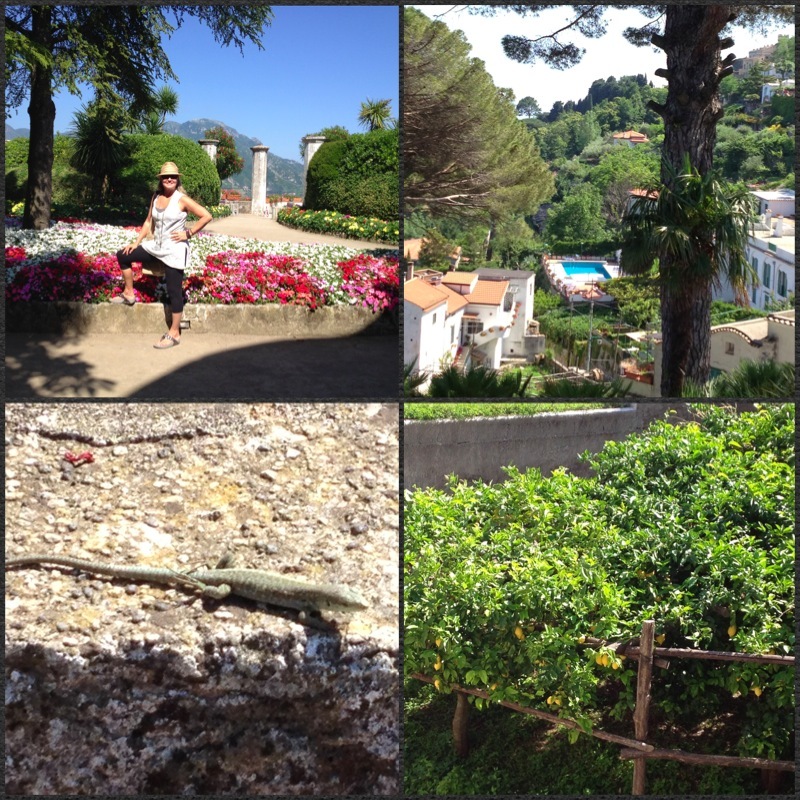 It sits on the piazza del Vescovado and contains a beautiful garden and view of the coast. The Villa’s original construction dates from 1200AD. 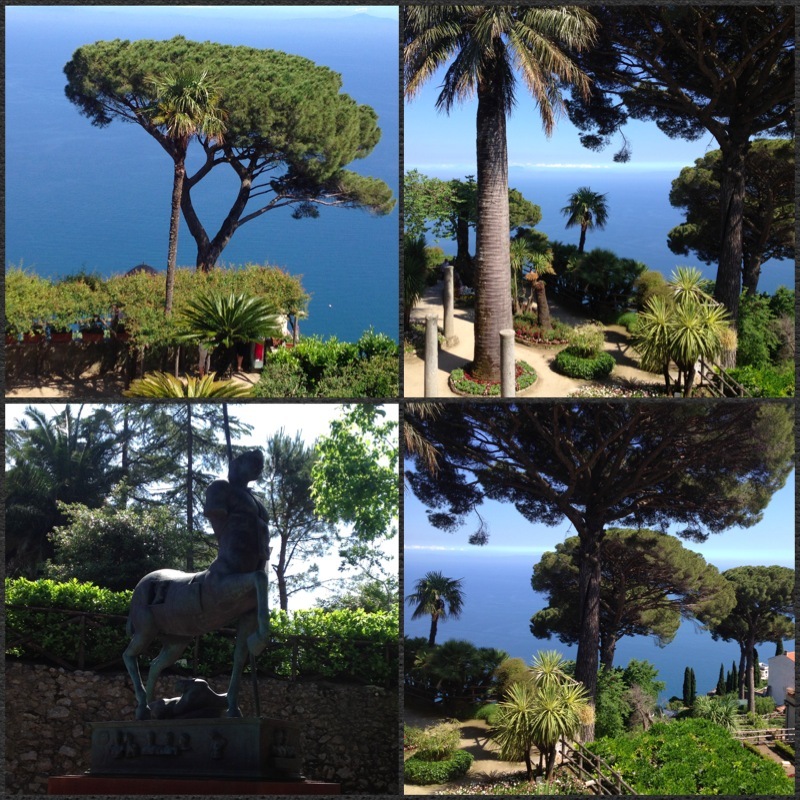 The most spectacular aspect is the overhanging garden terrace, that appears to float over the sea and is also where every year the Ravello Festival is celebrated. You can see the stage construction in our pictures.